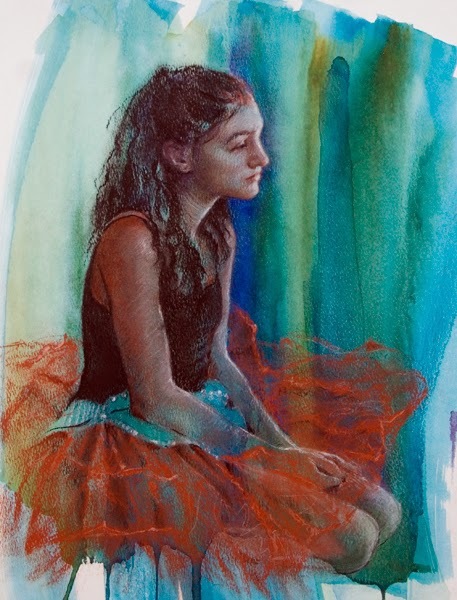 "Behind The Curtain" is a mixed-media study for an upcoming exhibition featuring dancers. 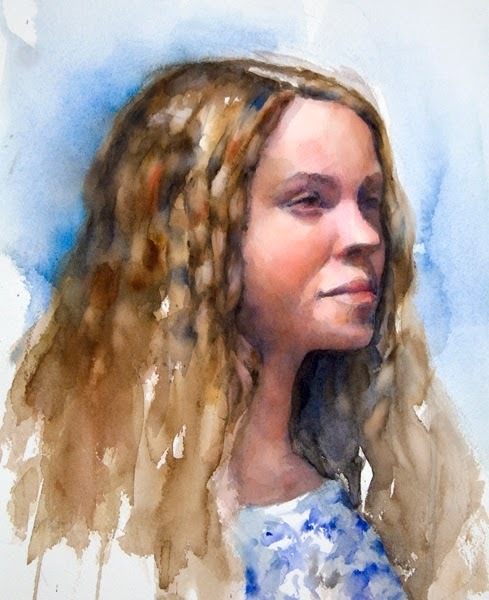 I started with a wash of watercolor, followed by a charcoal and pastel drawing of the figure. I let the watercolor serve as the background and also peak through areas of the figure and her clothing. This watercolor study is from a 3-hour pose at figure session. The model was a very young girl who was a bit wiggly throughout the session. It made for some very interesting paintings and drawings that night!